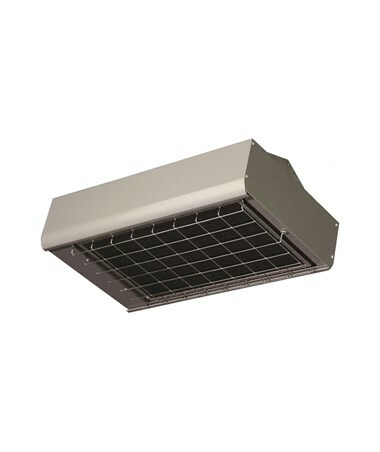 The TPI FSA Series Architectural Flat Panel Emitter OH Infrared Heater is a certified exceptional heater that works great for suspended high-bay indoor and secured outdoor applications. Designed for total area heating tasks, this TPI infrared heater offers selectable wattages up to 9.5 kilowatts at a maximum rating of 600 volts. It features a 60° symmetrical heat pattern for a wider coverage. 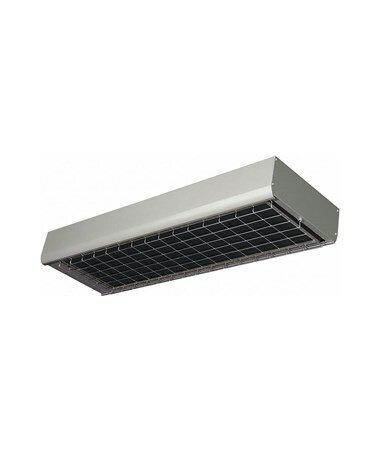 The TPI Overhead (OH) infrared heater uses a heavy-duty single flat panel emitter that produces large quantities of infrared heat in a moderately concentrated area. It comes with a medium wave emitter that offers a 78.5% radiant efficiency that offers a 25-hour life expectancy. The TPI FSA Series heater offers a single or three-phase wiring. This TPI FSA Series infrared heater is constructed of extruded Aluminum housing with a Nickel-gray finish that guarantees long life. It comes with Zinc-plated heavy-gauge safety grills and an electrical enclosure for a direct-wire installation. 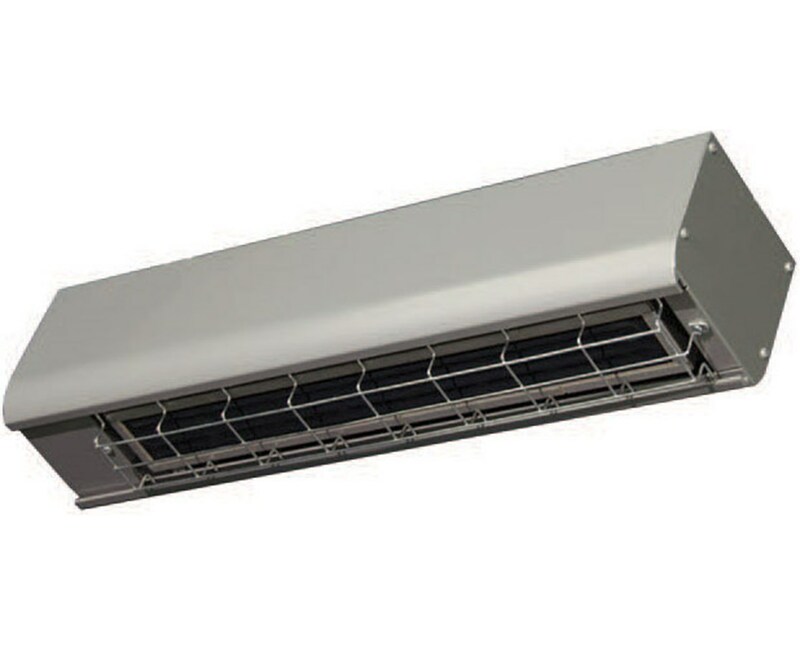 As an extra feature, the FSA Series heater is shipped fully assembled and includes “L” brackets that allow chain suspension, wall mounting, and ceiling mounting. 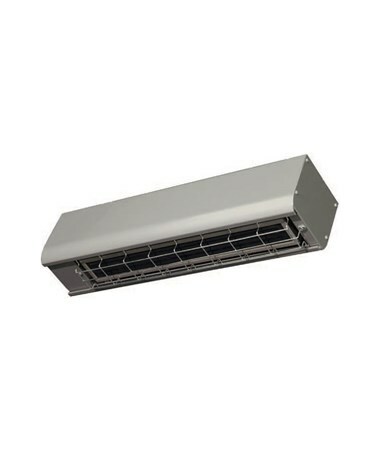 The TPI FSA Series Architectural Flat Panel Emitter OH Infrared Heater has 21 models with different wattages, voltages, phase, BTUs, and amps for your needs. Please select your preference from the menus above. FSA14121 1.45 kW 120 1 4,947 12.1 31.31" x 10.56" x 12.63"
15.14 51.81" x 10.81" x 12.63"
FSA43203 4.3 kW 208 1 / 3 14,672 20.67 / 11.94 29.81" x 18.69" x 12.63"
FSA95203 9.5 kW 208 1 / 3 32,414 45.67 / 26.39 50.56" x 18.69" x 12.63"